Don't let the bad weather get in your way. Just like racing here, doing power slides and drifts on wet pavement at the Nurburgring could easily result in death or serious injury. Bottom line is if you don’t know what you’re doing, better not do it. Best to allow the pros and other experienced drivers to risk it all. But drifting on a wet Nurburgring in, say, an M3 GTS, looks and sounds like a great time. For wet conditions such as this, maybe it’d be best to have some all-wheel drive traction. 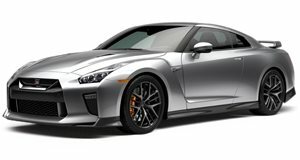 Problem solved: a Nissan GT-R. This video shows nothing but a bunch of drivers in their sweet cars drifting and sliding their way around the Ring.